Half guard is likely the most common position you're going to be in throughout your jiu-jitsu career, and yet many focus predominantly on positions that are considerably tougher to attain, like the back, the mount, or side control. Why is half guard so common? Well, it turns out that not everyone wants to walk right into your Closed Guard! 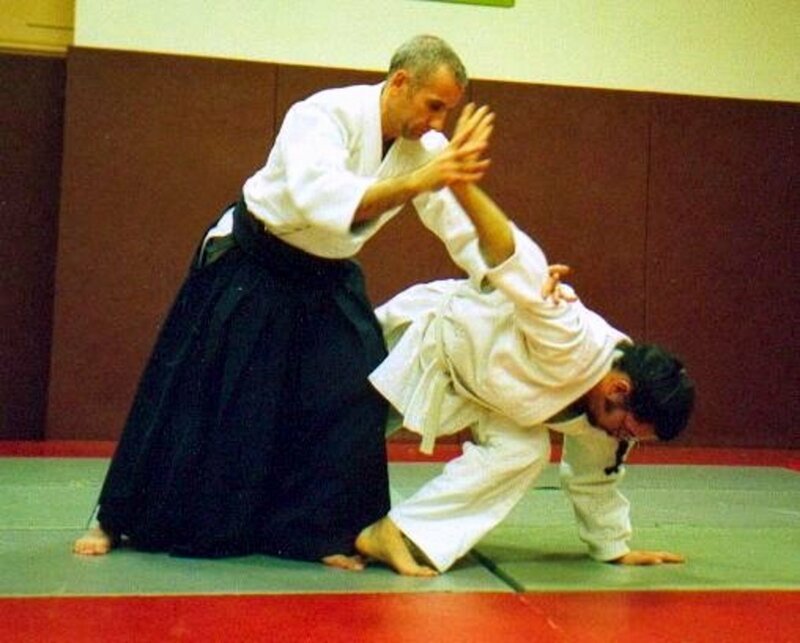 I've been using half guard for about 20 years now, even since my judo days of the late 90s. I've watched the position evolve from predominantly "last ditch" defense to a much more offensive, sophisticated position. Here are some simple tricks and tips to help you get started using the half guard. 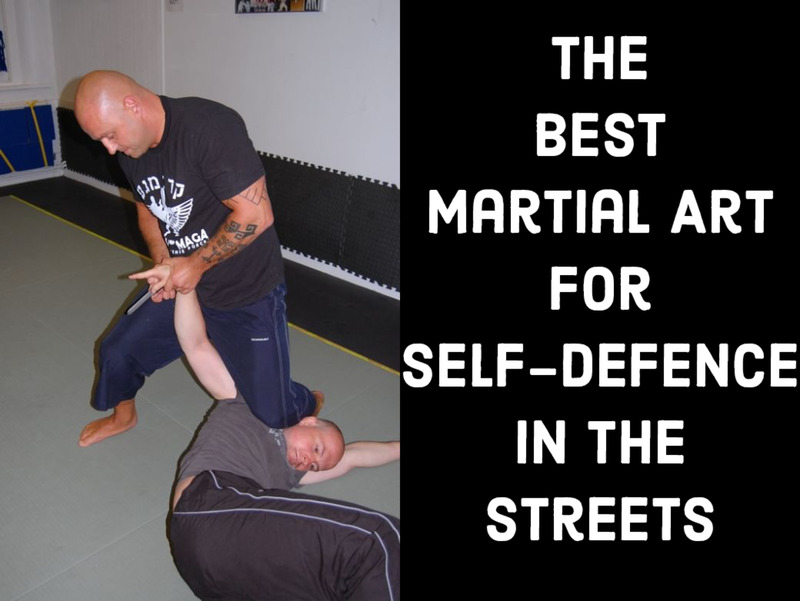 If you're looking for basic deep half guard, just follow the link. Block that crossface! If the person on top is able to hug your head, they are going to be able to crush your will to live. They can not only keep you flat, but they'll also be able to turn your head away from them, and exert tremendous pressure, making your job not only difficult, but also terribly uncomfortable. Get on your side. You've probably heard dozens of times by now that "jiu-jitsu is all about angles." Nowhere is this truer than from the bottom of half guard. First of all, your angle of attack is increased dramatically. Second, when you're on your back, you are dead in the water, unable to move around nearly as effectively. Get the "outside underhook." This is almost universally understood almost immediately, but without the first two points, against a worthy opponent, it's almost irrelevant. However, once you add the underhook control, you're going to be able to get further underneath and behind your opponent, setting up valuable back takes and sweeps. Remember, this is one particular approach to half-guard bottom, but it is my belief that this is the easiest stuff to begin with. Here's the first move you typically are going to understand how to do, and the threat of going to the back will eventually set up dozens of other attacks. You'll need to start with the correct posture from above; block the crossface, get onto your side, and get the outside underhook. Once you have all three of these things under control, now you're ready to move to the back! Start by off balancing your opponent forward with a little nudge to his or her hindquarters. This will either bring them forward or bring you backward. Either way, your result is the same, and you're going to be ready to climb "out the back door" and onto your opponent's back. 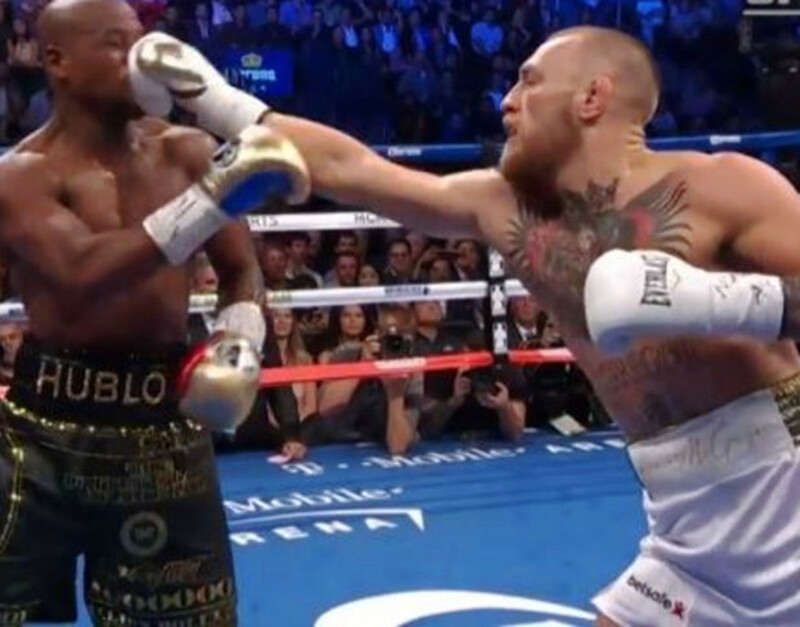 When you come up from the bottom to get onto your opponent's back, one of the most common reactions for them is going to be not to allow you to put your second hook in. The nice thing about coming to the back from half guard, though, is that you already have that first hook in. Oftentimes, you can get your arm around their back to that coveted "inside space" (the area between their armpit and hip), and you can use this space as leverage to pull them on top of you, as opposed to coming up on top, as in the first technique. This is one of my favorite ways to get the back, and I would say that I use this method (the finish, anyway) on 90% of purple, brown, and black belts I roll with. This fundamental two-person drill gets both partners lots and lots of basic half-guard back-take repetitions, while allowing you to warm up with some jiu-jitsu (as opposed to, say, running around in a circle or doing pushups). This is one of my all-time favorite drills to have students to warm up with. It's one of those movements that you're going to use from white to black belt, and it should become second nature to you on both sides, if at all possible. The idea here is to condition both partners a bit. The person who is about to have their back taken (the cardinal sin in jiu-jitsu) instead turns in toward his or her opponent, and, as a result, the technique turns into a sweep instead of a submission. This drill is gold. Half-guard bottom or closed-guard bottom? 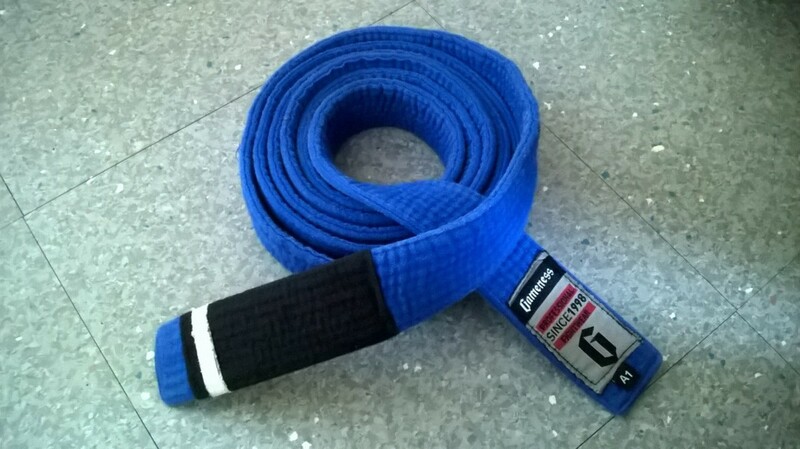 From a personal standpoint, half-guard bottom was my bread and butter from white to blue belt. I had tremendous competition success at all levels during my early days with these techniques. While the game has changed a great deal in the last 12 years or so, the techniques and the fundamental concepts underlying them have not. If you can become proficient in the basics (crossface block, underhook, getting on your side), you too can have early success with these techniques. My Kimura sequence from the top of half guard is designed to shut down exactly this game, although it works on many other types of games, too. 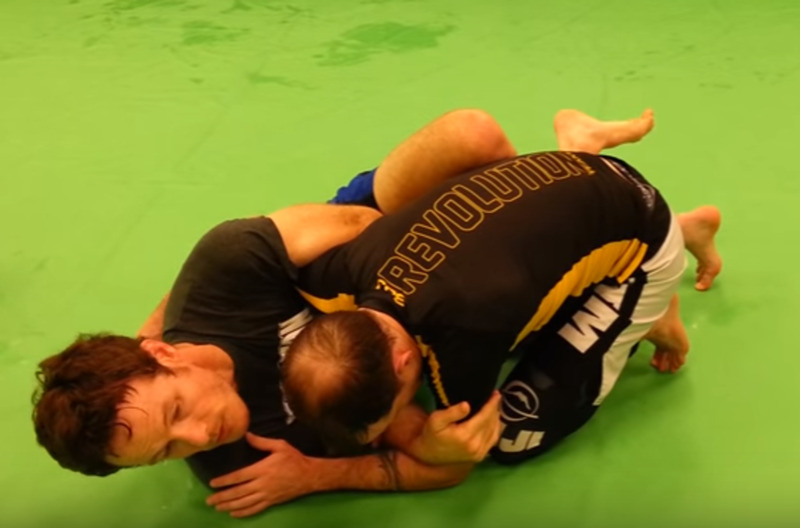 I've also developed a leglock sequence from the bottom of half guard you might find useful, although both of those sequences are considerably more advanced. What Are the Colors of Karate Belts in Achievement Order? Really glad to help out! Thanks, slideyfoot! I'd like to do at least one of these every month. I have six total made so far (you should be able to click through if you want to check them out). Brilliant. I look forward to more! I've seen, Ken! You have a wicked half guard. Fun to watch. I'm a big fan of half guard as well. I play the underhook far deeper though, so crossface hasn't been an issue.